Another blow has been dealt to so-called Islamic State after the recapturing of Deir al-Zor in Syria. “The armed forces, in cooperation with allied forces, liberated the city of Deir al-Zor completely from the clutches of the Daesh terrorist organisation,” a military source said. The key oil city in the eastern region was the terror group’s last major stronghold after suffering several losses in both Syria and Iraq. 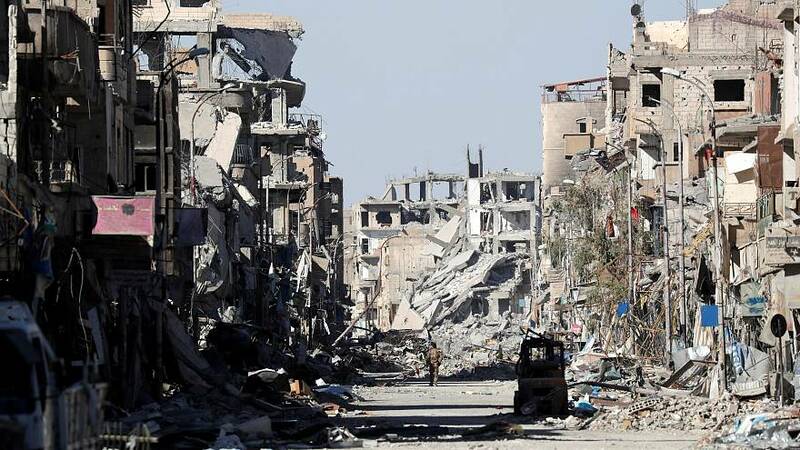 State television and the Syrian Observatory for Human Rights announced the city was recaptured by government forces backed by Russian bombers and Iran and Shi’ite militias. ISIL had controlled a government enclave in the city for years until the army relieved it in early September, starting a battle for jihadist-held parts of the city. The army captured al-Hamidiya, Sheikh Yassin, al-Ardhi and al-Rashidia districts in recent attacks and the al-Hawiqa district was the last to be held by the jihadists. A rival offensive of Syrian Democratic Forces supported by a US-led coalition is also pressing ISIL on the west bank of the Euphrates. Army units in Deir al-Zor are now working to remove mines and other explosive devices planted by fighters. But it will take a lot longer to rebuild the city itself, where entire buildings have been razed to the ground.